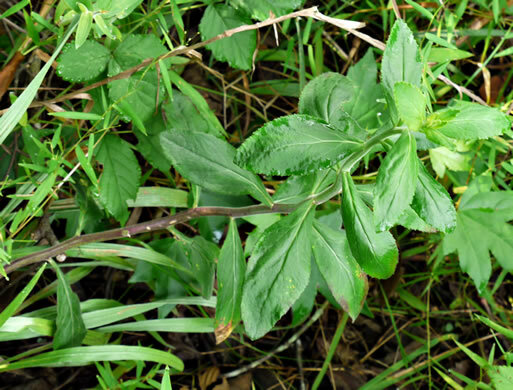 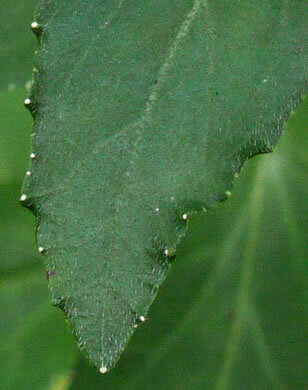 Leaves elliptic to oblanceolate, coarsely to finely dentate to serrate, per Forest Plants of the Southeast and Their Wildlife Uses. 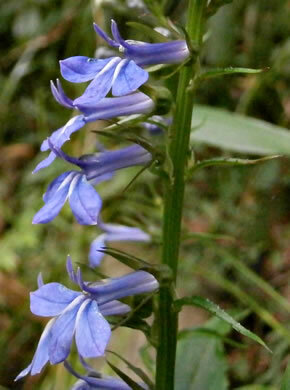 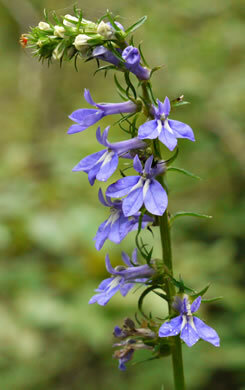 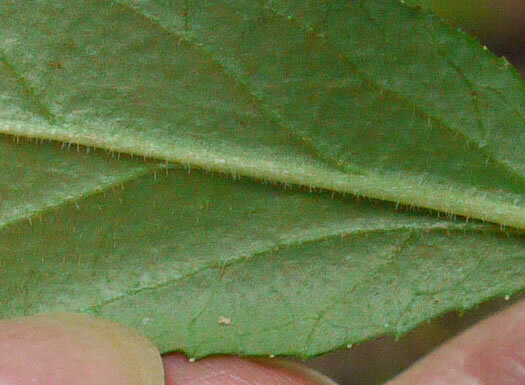 Lobelia lvs w obscure whitish callus-tipped & oft irregular or divergent teeth, per Weakley's Flora. 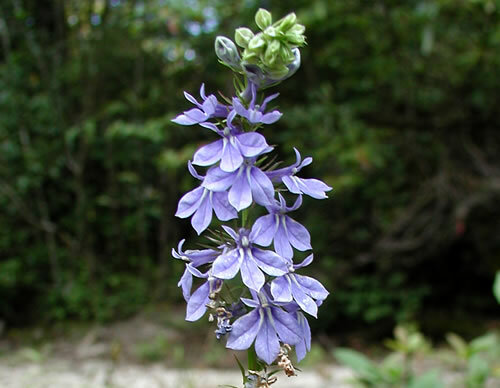 Flowers borne in racemes [thus the terminal flowers mature last], per Vascular Flora of the Carolinas. 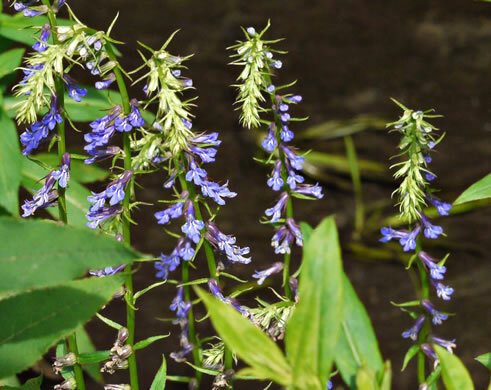 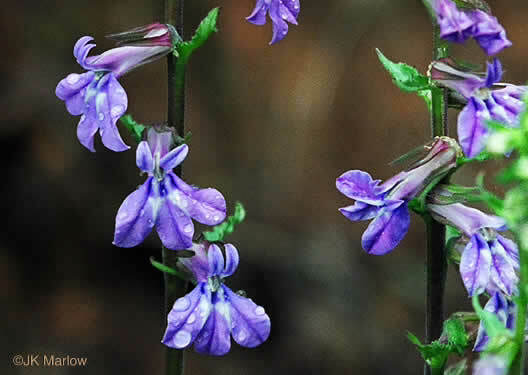 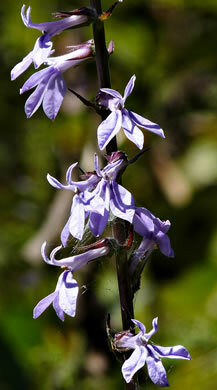 A fine-hairy stem and a one-sided raceme of purplish-blue flowers 3/4" long, per Wildflowers of the Southern Mountains. 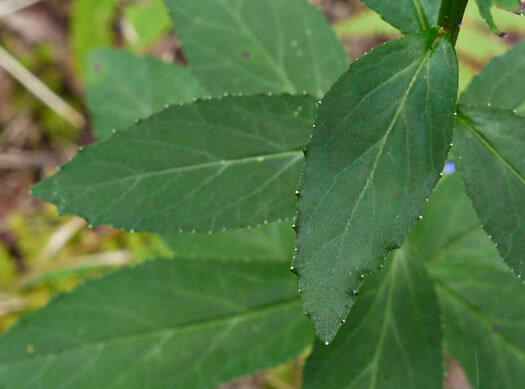 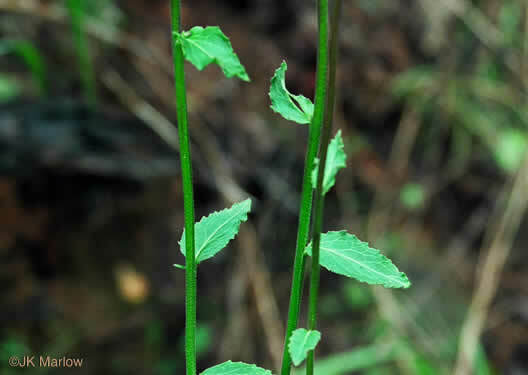 Calyx lobes lanceolate, rarely linear, 5-10mm long, per Vascular Flora of the Carolinas. 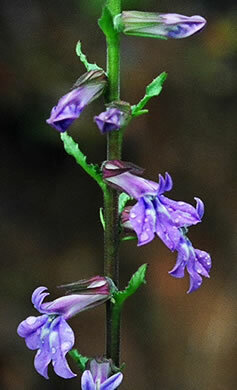 Flowers lack the inflated tube and striping of L. siphilitica, per Wildflowers of the Southern Mountains.